I dislike serial killer films and the few I do find watchable are pretentious (Seven) or have great pantomime performances (Silence of the Lambs). Cure is the first I love. 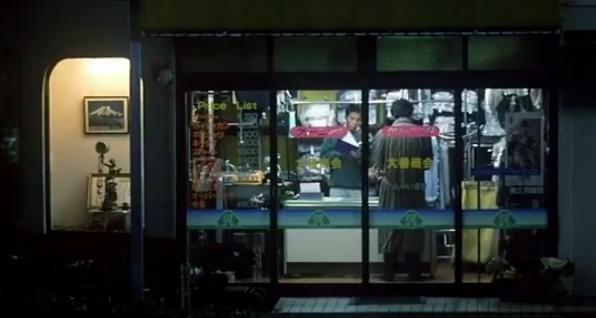 It is because of Kiyoshi Kurosawa’s interest and deployment of urban decay and malaise, and most importantly the supernatural and psychological. 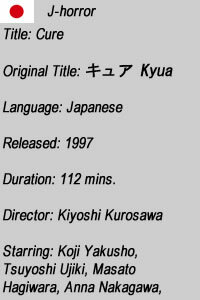 Detective Takabe (Koji Yakusho) and psychiatrist Sakuma (Tsuyoshi Ujiki) are called to a crime-scene where a man named Kuwano has murdered a prostitute by slicing her open with a knife from throat to chest, carving a large cross and severing the carotid arteries. 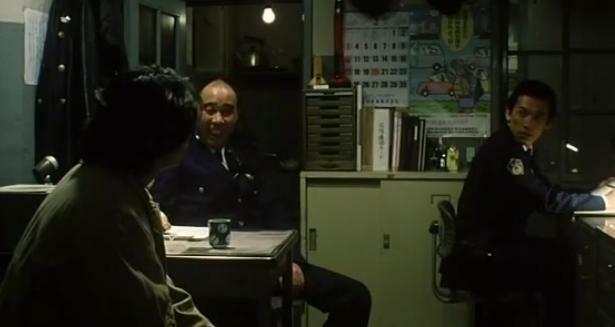 The police think that Kuwano has fled but Takabe finds him hiding nearby. The crime is one of three similar cases in two months where the culprits have no motive, are unrelated and are totally rational, hiding nearby and shell-shocked. Takabe is troubled at the emergence of a trend. 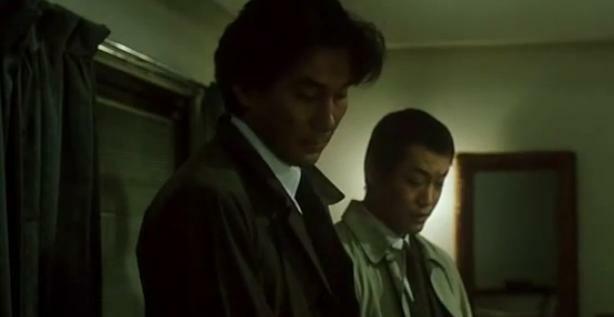 Cut to Shirasoto Beach in Chiba where a teacher encounters a guy in the trench coat (Masato Hagiwara) who asks, “Do you know who I am?” He seems to have amnesia so the teacher takes the drifter home to alert the authorities and discovers Mamiya written on the drifter’s coat. Mamiya insists that the authorities shouldn’t be alerted and produces a lighter and starts asking the teacher the same questions over and over, “Who are you?”, “What do you do?” trying to pin down psychology. While this is happening Takabe is at home taking care of his wife who is mentally ill. 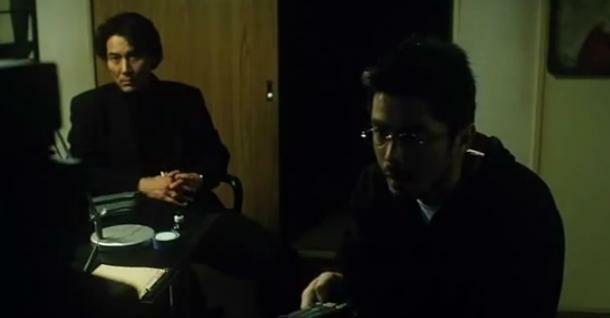 The next morning Takabe interrogates the teacher who has murdered his wife. Takabe senses that there is a supernatural element, possibly hypnosis but Sakuma refuses to budge from his conventional theories until they encounter Mamiya themselves and realise he is connected with each of the killings. Takabe, increasingly distressed and angry with the crimes and having to take care of his wife struggles to get his theory of hypnosis accepted but while he is digging around in Mamiya’s past he discovers chilling evidence stretching back further in time than he could ever have imagined. Kurosawa’s quality as a director shows in the subtle and disturbing ways he can create an unnerving atmosphere and nightmare texture through environment and thoughtful writing as we delve into a convincing mystery surrounding Japan’s occult past and the psychology of various characters in the modern era. 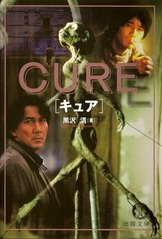 Cure features Kurosawa’s trademark run-down urban environments and troubled characters. The back-alleys of Tokyo, the quiet neighbourhoods, small beaches, dusty fields, scrap yards and abandoned warehouses. The soundtrack for this desolate urban landscape is a mix of unholy noises like passing trains, rattling pipes, washing machines and howling wind. The people inhabiting this environment seem outwardly normal but some have resentments and hatreds so deep rooted that they manifest themselves in different ways. This means that Mamiya’s power over thoughts becomes increasingly deadly and you wonder where the next killer will spring from and what type of person they will be which adds to the overall mystery of the film. Uncovering the mystery with Takabe is chilling and the moments when Mamiya pops up, especially when he clashes with Takabe are truly hold-your-breath ones because you don’t know what the results will be, so enigmatic, intelligent and powerful is the serial killer at the heart of this film. Which lead me to praise the performances, all of which are low-key but convincing. 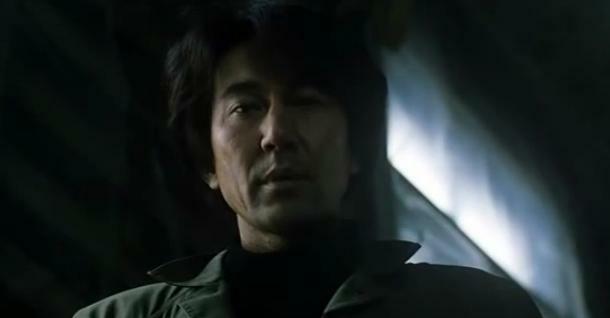 Hagiwara is wonderfully mysterious as Mamiya but Yakusho takes the prizes as a cop increasingly pushed towards the edge. Within the frame work of the serial killer film Kurosawa allows the supernatural to emerge, engaging the audience at a conventional level while smuggling in convincingly real supernatural elements in the background. This leads to an ending which is very low-key with a lilting piano melody that accompanies a devastatingly brilliant sequence that tops off a spell-binding film that examines the power of thoughts. Looks good – will definitely check this out. You’re recommended reading here Goregirl and I’m glad to see that you put Cure above Ringu. Nice to see Frighteners in there!